I ruminate often these days about the need to starting heading in the opposite direction with my book and ephemera collections. Regarding this line of discussion, I have come across two related news items I wanted to share. 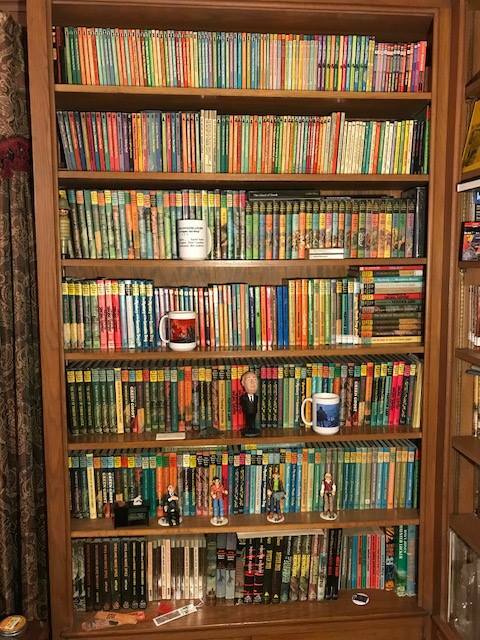 "Here's one final quick snap of the main bookcase which holds my 'Master Set' of Three Investigators books as it looked on Nov. 4, 2018. I'll post some better pics of the individual shelves in the comments below and/or during this next week. The sale of the Smolinske collection officially begins next Saturday, the 14th of November with some items that came directly from the Random House offices and archives in New York City. "My sale will take place over the next several months. The plan is to put up select items or groups of items every week or two (unfortunately I've still got a hectic work schedule to try and work around). We'll feature these items here on this page and also on my T3I site. Most items will be listed for set prices, often on my regular T3I sales page, but some will be listed on eBay to sell to the highest bidder. As always, over time, if set price items don't sell then the prices will gradually drop until they do. "There are a lot of items which are unique or quite scarce, it will be a once-in-a-lifetime opportunity to acquire some of these things, original artwork, signed books, uncirculated GLBs, and other unique ephemera. But there are also a lot of common items and I trust that there is something for everyone no matter what type of collection you are building. "Questions and feedback are always welcome. It's best to send me a private message or, even better, contact me by e-mail through my Three Investigators site. Good luck to all!" 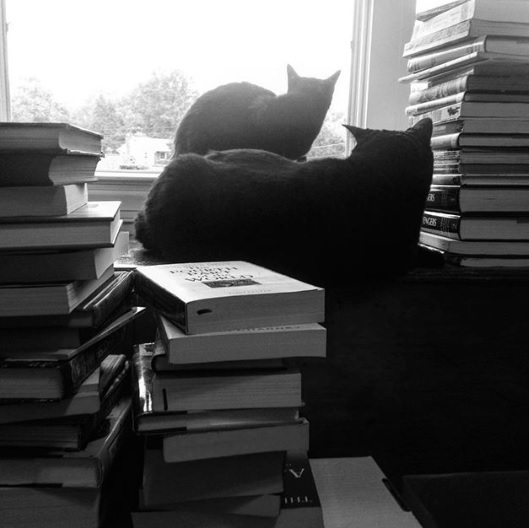 One of his followers offered the following comment, which also gets to the core of what people decide to keep or give: "I love it that this collection exists and the effort that went into collecting all of these books. At the same time it is always bittersweet to see an end to anything. At this very moment I am getting ready to sell a train set that has been in the family for a long time. The kids don't want it and that's another story. Just makes me think and get a bit sentimental to see this collection move along for some reason." "You're asking a question that a lot of folks have asked in the last several weeks and so I'll try to answer it as best I can. There's a lot of T3I stuff that I'm keeping. After all, the early books still spin their magic and truly make me feel like a kid again when I read one. But I promised myself several years ago that I'd give some serious consideration to down-sizing the collection when I passed a few of those 'life-milestones'. And here we are. But it's more than that. I've not had the time I once enjoyed 7 and 8 years ago to spend on the site or with continuing to build and upgrade the collection. I've reached a plateau with the collection and I'm frustrated that I haven't been able to contribute much to the T3I community or add to the knowledge base in recent years. My kids don't have a special interest in the collection and if something were to happen to me I'm not sure what the fate of the collection would be. I think it's a good time to make it available to fans and collectors and give others the opportunity to own some of the really cool T3I things that I've had the privilege to enjoy for awhile. That's pretty much it. I plan to keep my T3I site up an running and I hope that it won't be too long before I have more time on my hands to spend on it." I think those are some pretty good and noble reasons, and I think it's great that Smolinske will be working to get these items into the hands of those who will enjoy them most. That's what it's all about, right?